Join the EPIC2019 Program Committee April 4–5 for an “Ask Us Anything” session on the Ethnography Hangout Slack, #epic_org channel. If you've got questions about your conference submission (due April 12), the conference theme, or anything else about the EPIC2019 experience, this is a great chance to chat with the people running the show. You'll also find a fantastic community of EPIC people (and beyond) to network with all year. 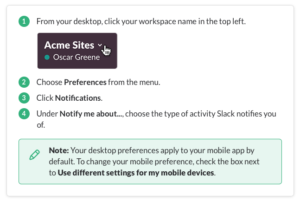 You'll receive an activation email from Slack and a welcome email from us (allow up to 24 hours). 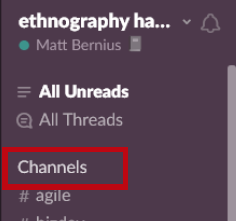 Log in to Ethnography Hangout Slack through your browser or the Slack App. The Ask Me Anything session will happen within the #epic_org channel. Please introduce yourself! There is also an #introductions channel. Detailed instructions for Channels on mobile and desktop are in the Using Slack guide.